Browse: Home / O-Saft v16.05.15: OWASP SSL audit for testers & OWASP SSL advanced forensic tool. 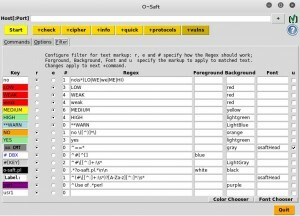 O-Saft v16.05.15: OWASP SSL audit for testers & OWASP SSL advanced forensic tool. This tools lists information about remote target’s SSL certificate and tests the remote target according given list of ciphers. ciphers (aka +cipherall) will work with it. All dependencies for these modules must also be installed. configurations. It needs to be renamed before used. o-saft.pl reads o-saft-README if possible and exits. 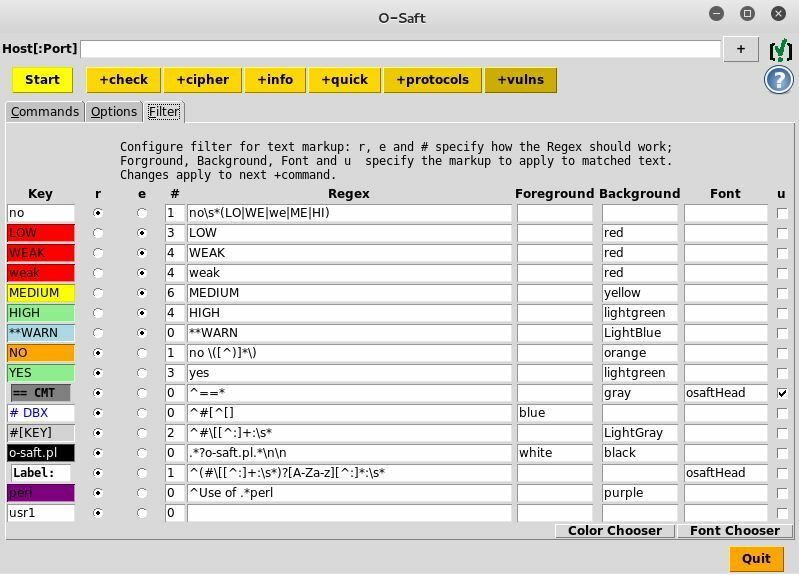 o-saft-README must be renamed or removed to get o-saft.pl working. ← Eros Rootkit is a special kind of malware with it’s own custom bootloader.